Japan is a beautiful country that has a lot to offer the rest of the world. Here is just a (small) sample of the some of the ways you can appreciate Japanese entertainment! The likes of Pokémon are clear examples of Japanese culture that has made its way across the Pacific. But there are other Japanese culture gems that remain largely under appreciated here in the United States. Here are the places that you should start when branching out into Japanese entertainment. J-pop can be fairly hard to get into as a western listener, with a lot of elements possibly sounding cheesy to the everyday western pop listener as well as the language being an obstacle for those that like to sing along. However, rock fans may be able to strike a chord with various heavy bands such as Babymetal, Crystal Lake and Melt Banana that have already got press from publications in the west. Japanese EDM may also be an entry point for many fans of electronic music. You can stream big Tokyo stations such as J-Wave online, which may be served as a good taster. Japanese movies are gradually gaining more recognition in the west. Studio Ghibli is an animation film studio that has become world-famous for its imaginative kids’ movies such as Spirited Away and Howl’s Moving Castle. For older audiences meanwhile, there are lots of live action films including classics like Seven Samurai and Tokyo Story and more modern movies like Departures and Nobody Knows. And of course there are plenty of scary films for horror movie buffs. There are plenty of eccentric Japanese game shows, some of which have made their way over to the West such as Takeshi’s castle. However, Japanese TV has its more serious side too. Animated TV shows known as Anime are not as wholly humorous or kid-oriented as they are in the west, with the likes of Death Note grabbing fans around the world. There are some live actions shows too worth watching such as Liar Game, although these are often based originally on anime shows. 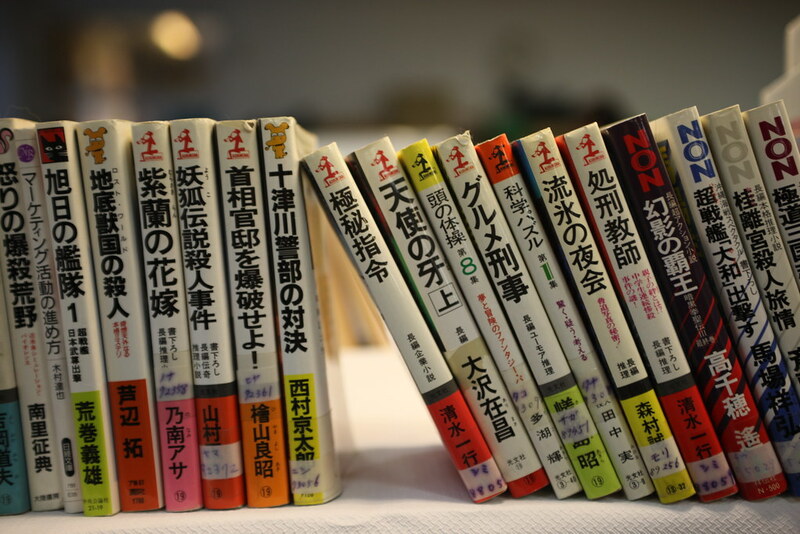 There’s also a lot of Japanese literature out there that’s worth reading, much of which has been translated to English. The Tale of Genji is the most popular Japanese work, written in the 11th century. For those seeking something a little more modern, the works of Haruki Murakami are a good place to start, particularly a novel called Kafka on the Shore which you may be able to find in many western book shops. If you’re looking for something poetic, Yasunari Kawabata’s Snow Country written in 1937 is a classic worth reading. On top of standard novels, Japan also has a greater market for graphic novels, many of which you can find in Western bookstores.